Enjoy a private walk-through of the exhibition Of God and Mortal Men: Masterworks by T.C. Cannon from the Nancy and Richard Bloch Collection, and through the lens of guest artist Jacob Meders, spend time in our Dorrance Education Classroom to complete your own guided art activity to take home! Suitable for guests of all ages. Jacob Meders is a member of the Mechoopda Indian Tribe of Chico Rancheria, California. He presently lives in Phoenix, Arizona. 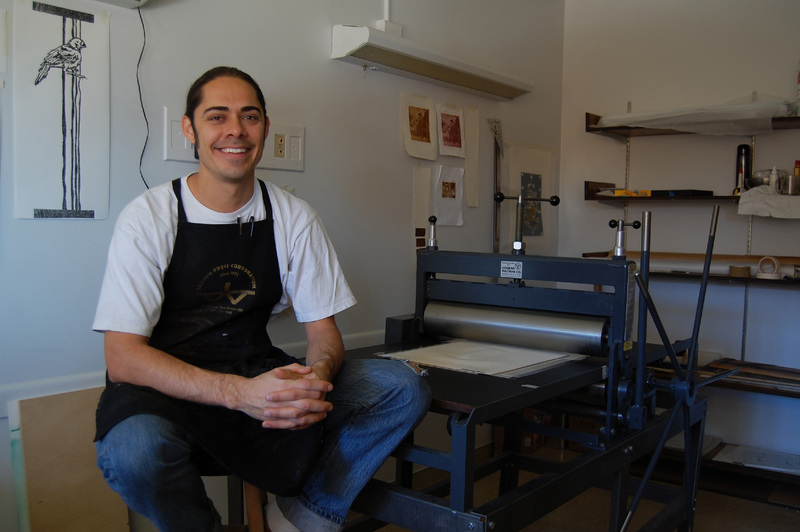 He graduated in 2007 with his BFA in painting and a minor in printmaking at Savannah College of Art and Design in Savannah, Georgia and in 2011 received his MFA in printmaking at Arizona State University. Artist Jacob Meders (Mechoopda Maidu).